Effective engagement of nonprofit sector institutions is indispensable to ensure social justice in community development and urban planning for seniors. Commonly, it is assumed economic development land use planning issues are parallel to institutionalized social issues in the processes of public policy formulation and implementation. Community participation does not always correct this misconception because “efforts to achieve public participation are often less sophisticated” as Engram pointed out in a November 2016 issue. Sometimes, recognizing related issues requires professional knowledge. A case in point is real estate management issues intertwined with public policy issues in community development and urban planning. Often, they are kept separate to protect individual rights and privacy. Sometimes, this results in absurdity. For example, although it is public policy to ensure that every American family has a decent home, homelessness remains a concurrent problem with vacant and abandoned residential properties in many cities in the United States. Nonprofit sector institutions with professional capacities are needed to link economic efforts of institutions in both private and public sectors. At present, nonprofit sector institutions commonly engage as charitable social service agencies providing housing assistance subsidies where relevant to their mission goals. This approach has not effectively impacted the local housing markets because currently the public perceives housing needs as private social issues such as basic need for shelter. 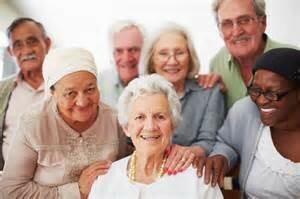 Community development and urban planning for seniors should link their housing needs with their private social needs. Housing needs are not necessarily the same as social needs because housing units are not just shelters for living. Housing units are investments in landed properties. They are capital assets which can generate incomes for seniors who are homeowners. However, their housing needs as seniors have to be linked with real estate management of their capital assets. This will involve reconciling some conflicting public policy issues because of the general tendency to separate social and economic needs. Social change is needed in the current public perception of housing as consumption goods. Residential landed properties are investment goods. Public policy in housing finance could also promote the social change. At present, financial institutions such as mortgage companies and credit card companies use various strategies to indirectly force homeowners to refinance instead of preserving their equities. Many homeowners, including seniors, may not have enough equities to make necessary changes in their housing needs. Worse still, most foreclosure processes do not include adequate protection of equitable landed property interests of homeowners. Hence, real estate dealers prey on many low income homeowners including seniors in their local housing markets. Therefore, public policy news to complement nonprofit sector institutions in various local housing markets to ensure social change. Furthermore, while focusing on their charitable missions, nonprofit sector institutions tend to underestimate the economic force of the sector in community development programs. As a result, either some critical economic goods and services are undervalued, or those critical goods and services cannot be attracted for implementing development programs. Where those critical elements are appropriately valued and involved, nonprofit sector institutions may have to compete with for-profit private establishments to achieve their mission goals. Rather than take on competition in terms of financial outcomes however, the mission goals of the nonprofit sector institutions should clearly identify the unique social justice outcome of programs. One of such social justice outcomes is to ensure seniors are not perceived as economic liabilities because their social and economic needs are severed. Well-blended nonprofit charitable social services could constitute significant economic force in community development. For promoting social change, public policy administrators particularly need to engage with nonprofit sector institutions in community real estate management for mutual benefits in local housing markets across the United States. The public policy issue of housing affordability is being confused with housing needs as landed properties in local housing markets. Rather than encouraging effective real estate management of existing housing stock as investments, public policy administrators are seeking for solutions in developments and designs to meet housing needs. The current public policy approach has resulted in ambivalent dichotomy in local housing markets comprising of market rate and subsidized housing units. Therefore, many low-income households including seniors are either homeless or occupying inadequate housing while some residential properties are vacant or abandoned. Also, foreclosures and tenant evictions remain common features of local housing markets. According to the 2014 study on housing America’s older adult by the Joint Center for Housing Studies of Harvard University, it is projected one out of five people will be 65 years or older by 2030. A decent home is the linchpin of well-being. The need for social change is urgent. Engagement of nonprofit sector institutions in community real estate management is needed to complement public policy in local housing markets for social change.